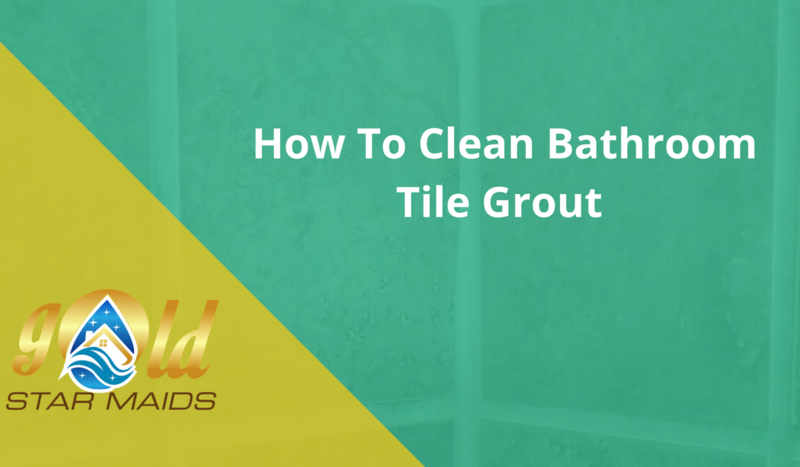 Tile grout, although wonderful for what it does and all it helps prevent, is a pain in the neck to keep clean. Mold and mildew easily build up on grout and it takes time and concentration to keep it looking fresh and stain free. Unfortunately, there comes a time in life when you have to face that grout and tackle it to the best of your ability. We are here to help you do that. Take a look at the following methods and pick which one will be best for you. Jump on that grout cleaning and get rid of all the yucky mold and mildew. If you have a hard time deciding which method would be right for you, try starting with the more mild ones and build your way up to using stronger cleaning products if the mild ones don’t work. However, most of the time, the natural products should remove all the stains and mildew and leave your grout looking fresh. Begin by making a paste with baking soda and water. It should be a fairly thick paste so you don’t want to add a whole lot of water, just a little bit. Use an old toothbrush to scrub the paste into the grout. For the best results, scrub in circular motions, not back and forth. Once it is all scrubbed in, spray it all down with a 50/50 vinegar and water solution. It should fizz and bubble up. Let it sit for 30 minutes or so then scrub it all around again with the toothbrush. Wipe it down with clean water to reveal the outcome. Baking soda and vinegar together is a highly favored cleaning solution. It has proven to succeed many times so hopefully it will work for you too. The process for this is fairly similar to using baking soda and vinegar; hydrogen peroxide is just a stronger product so it may work better if you have stubborn spots in your grout. Plus, there are other benefits to cleaning with hydrogen peroxide. Instead of making a paste with baking soda and water, use the hydrogen peroxide to make the paste. Scrub it in with a toothbrush and, if necessary, throw some more peroxide on there after you scrub the paste in. The hydrogen peroxide should definitely remove stains and make your grout look cleaner, although it might still not be spotless. The peroxide will also definitely kill any mold or mildew that may have been there. Mix together borax, lemon juice, and liquid soap to make a paste. For every 1/4 cup of borax you should use about 1/2 teaspoon of lemon juice then just add as much soap as necessary to make the paste right. Just like the other methods, all you need to do is scrub the past into the grout and wash it down with warm water. There are plenty of cleaning products you can buy to help clean your grout. Many of them are basic clorox based products that help remove the stains and loosen the dirt on the surface. The only thing to be wary of, when using store bought products, is the toll they could take on your grout. Trying the more natural cleaning methods could help give your grout a longer lifetime.